Mobile Medical Alert Now Available. Anywhere. Anytime. Price’s Alarms Grows in Okanagan and Arrives in Alberta. Beware of the Door-Knocker – they are back! Harassment of elderly by security companies? Our roots in security go back more than 120 years to 1895 when we originally provided locksmithing services. Today Price’s Alarms is the leading choice for security in much of British Columbia along with Edmonton in Alberta and we continue to grow and expand to new areas, new homes and businesses throughout BC. The Price Family is still involved in leading our organization today, now four generations later. Whether you need burglar alarms for residential or commercial security, medical alert systems, environmental alarms, fire and elevator monitoring or security systems design, Price’s Alarms is the right choice in BC and Alberta. Serving much of BC and all of Vancouver Island with local offices in Victoria, Duncan, Nanaimo and Courtenay, Price’s Alarms has the Island covered with local service from local people. The Greater Vancouver area is also covered by Price’s Alarms with our office located in Burnaby covering the lower mainland all the way out to Abbotsford and Chilliwack. In the Okanagan, Price’s Alarms and Trojan Security joined forces in early 2011 under the Price’s Alarms name to better support security customers in Kelowna and Penticton from our Kelowna office. Additional mergers in the Okanagan with Alarm Masters in Vernon and Border Security have made Price’s alarms the biggest and best team serving the Okanagan region taking us as far South as Osoyoos. In 2016, Bolt Security Alarms in Edmonton and Kelowna became Price’s Alarms as well. Price’s Alarms is Canada’s oldest security company with a wealth of experience, more than 180 employees and customer security solutions to meet the needs of our customers. Beyond that of alarm systems, Price’s Alarms also operates its own Systems division that specializes in state of the art access control and HD and IP CCTV professional security grade camera solutions and intercoms. The strength of any company is its people, and Price’s Alarms is no exception. From our knowledgeable team of nearly 30 Security Advisors and highly qualified technical services group to the top-notch response team in our monitoring station, we have the greatest team of people working for the top security provider in British Columbia. We are proud to be A+ rated by the BBB as an accredited business in BC. 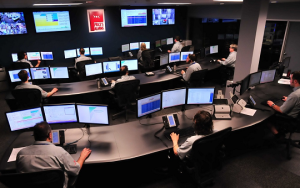 In May of 2013, Price’s Alarms completed the construction of a brand new ULC certified monitoring station that now handles the monitoring of more than 35,000 customers throughout British Columbia. Our new station provides the latest technology, telephones, backup systems and facilities to ensure we are prepared to take care of our own customers for many years to come. Please give us a call if you would like to discuss your security or take some time and navigate your way through the many sections of our website for information about us and the security solutions we offer. If Price’s Alarms is not already your security provider, we would love the opportunity to earn your business.